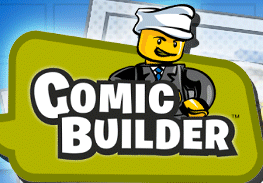 Lego Comic Builder is a fun site to create online digital comics. This is a nice site to introduce digital storytelling to kids in a fun and easy way. A user can select their scenes, characters, objects, and then add text to complete the story. A finished comic can then be saved/downloaded. I recommend checking out Lego Comic Builder by clicking here.